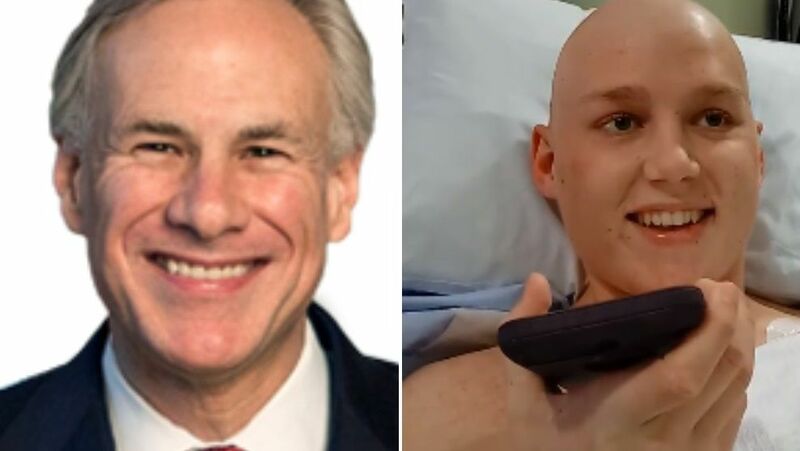 Americans nationwide are calling upon Texas governor Greg Abbott to keep his promise to a teenager who died of cancer in August, who asked Abbott as his dying wish to work to outlaw abortion in the Lone Star State. “I know that it must be difficult standing against a whole federal beast that forces abortion on us, but I think that we … could end abortion here and now,” he said. Now that the Abolition of Abortion in Texas Act, House Bill 948, has again been put forward and the legislature is back in session, a campaign has been launched to hold Abbott to his promise. 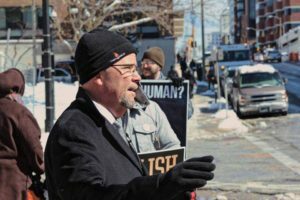 Matt Trewhella, pastor of Mercy Seat Christian Church in Milwaukee, Wisconsin, leader of a ministry that serves to be a voice for preborn children and author of “The Doctrine of the Lesser Magistrates,” told Christian News Network that the time is right to press Abbott to take a stand for the preborn. Trewhella outlined that today’s civil leaders must return to the concept of interposition—that is, to stand in the gap whenever those of greater power issue decrees that are evil and conflict with the law of God. “Western civilization has always stood upon the needed premise that divine law trumps human law [and] that unjust laws are no laws at all,” he stated, adding that the Supreme Court ruling of Roe v. Wade is “not even a law,” but an opinion. Trewhella further pointed to the words of the words of Thomas Jefferson, who wrote a letter to William Jarvis in 1820 to express concern about the inordinate weight of authority and infallibility presumed to belong to the nation’s judges. He lamented that no civil magistrates seem to be taking a stand in modern times. “46 years now of brutal bloodshed of the most helpless, and all these lesser magistrates have done is quibble and falsely lament how they must obey the Supreme Court. And such thinking as that stands in utter contradiction to Scripture and utter contradiction to the whole history of western civilization,” he added. While it is not known where Gov. Abbott stands in regard to interposition and his view of the Supreme Court, other Republican governors who identify as pro-life have rejected challenges to Roe because they feel that the effort is futile. 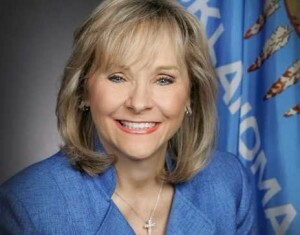 “In fact, the most direct path to a re-examination of the United States Supreme Court’s ruling in Roe v. Wade is the appointment of a conservative, pro-life justice to the United States Supreme Court,” she remarked in her veto message. And while it would not have outlawed abortion altogether, Republican Ohio Gov. 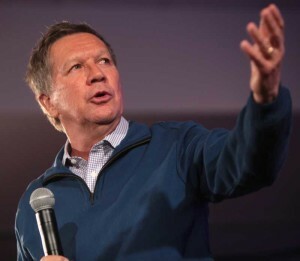 John Kasich has now twice vetoed a bill that would ban abortion whenever a heartbeat is detected, stating that such a law would not hold up in court and the state would end up paying thousands in legal fees to Planned Parenthood. He similarly expressed the mindset that he felt bound to the Supreme Court. When laws are challenged in court, it is the job of the state attorney general’s office to defend those statutes and the position of the governor. The office of Texas Attorney General Ken Paxton has already made statements that have raised concern. As previously reported, in 2017, as the State of Texas had been sued surrounding a law that required aborted babies to either be buried or cremated—which could have shut down a number of abortion facilities that were not able to comply, whether financially or due to a lack of business cooperation—Assistant Attorney General John Langley surprisingly told U.S. District Judge Sam Sparks in court that “fetal tissue is not human remains” under Texas law. It is remarks like these, Trewhella said, that heighten the need to call upon Abbott and his administration to stand unwaveringly this time around. He noted that it is the duty of the people to encourage Abbott to do what is right, and then to support him when he does so. “The role of the people regarding the Doctrine of the Lesser Magistrate is to prod their magistrates to do right when evil is trying to be done by the superior civil authority, and then to rally around their magistrate—to give them everything personally, publicly, of their prayers—to stand with them in their interposition,” Trewhella stated. When asked how he could provide insight into why Christians need to get involved in issues such as these, he explained that the Body of Christ must live in sync with the heart of God, and must be motivated to act out of a burden for those things that hurt and offend a holy God, rather than coasting along with the rest of cultural Christianity. “When it comes to the helpless and the shedding of innocent blood, we need to speak out so that bloodshed is brought to an end in our nation,” he exhorted. A website has been launched surrounding the effort, called JeremiahsWish.org, where visitors may also sign a petition to Gov. Abbott. Supporters nationwide are additionally uploading videos to social media that kindly call for Abbott to keep his promise to Thomas.